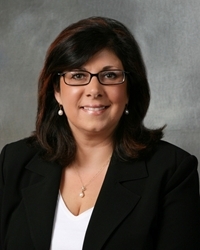 Patricia A. Staiano, formerly United States Trustee for the Districts of New Jersey, Delaware and Pennsylvania, concentrates her practice in insolvency and commercial litigation, specializing in bankruptcy and representation of Chapter 7 and Chapter 11 trustees in business reorganization and consumer matters. She has also represented Chapter 7 and Chapter 11 debtors, secured lenders, official committees of unsecured creditors and individual creditors. Ms. Staiano was law clerk to the Honorable William H. Gindin, United States Bankruptcy Judge in Trenton, New Jersey, in 1986-88. As United States Trustee, Ms. Staiano appointed and oversaw Chapter 7, Chapter 11 and Chapter 13 Trustees. She was instrumental in forming Bankruptcy Fraud Task Forces in conjunction with United States Attorneys and other law enforcement agencies in five federal judicial districts. Ms. Staiano has litigated issues of professional conflicts, confirmation of plans of reorganization and adequacy of disclosure statements, has formed creditor committees, appointed Chapter 11 trustees and reviewed fee applications for all professionals retained pursuant to court order in bankruptcy cases. While at the Department of Justice, Ms. Staiano was Chair of the Chapter 11 subcommittee for the Department of Justice’s United States Trustee Program, a member of the Chapter 7 Subcommittee, and a member of the Director’s Advisory Committee. Ms. Staiano testified before the Subcommittee on Commercial and Administrative Law of the House Committee on the Judiciary regarding the Chapter 11 small business provisions contained in the House of Representatives’ version of the Bankruptcy Reform Act. Ms. Staiano served for two years as Co-chair of the Business Reorganization Committee of the American Bankruptcy Institute, and frequently lectures on a wide range of bankruptcy-related topics. From 1994-2008, she was a member of the Lawyers’ Advisory Committee for the United States Bankruptcy Court for the District of New Jersey. Ms. Staiano is a Court-Approved Mediator and is a member of the panel of mediators for the United States Bankruptcy Court for the District of New Jersey. Ms. Staiano is a member of the Bars of New Jersey, the United States District Courts for the District of New Jersey and the Southern and Eastern Districts of New York, and the United States Court of Appeals for the Third Circuit. Law Clerk, Honorable William H. Gindin, U.S. Bankruptcy Court, District of New Jersey, 1986-1988. United States Trustee for Region 3, 1996-2001. While United States Trustee, Chair of the Chapter 11 Subcommittee; Member, Director's Advisory Board; Member, Chapter 7 Subcommittee; Member, Bankruptcy Fraud Subcommittee; Member, Diversity Subcommittee; Formed Bankruptcy Fraud Task Forces in five judicial districts. Testified before the Subcommittee on Commercial and Administrative Law of the House Committee on the Judiciary. Co-chair, Business Reorganization Section, American Bankruptcy Institute (1999-2001). Member, Lawyers Advisory Committee to the United States Bankruptcy Court, District of New Jersey (1994-2008).